But while plenty of planning goes into the all-important Christmas dinner, few have the forethought to decide what other festive treats to serve up over the holidays (aside from the perennial Pringles, Twiglets and mince pies, that is). So, to help merrymakers serve up a delicious spread of festive nosh this season, here we present 9 simple Christmas party recipes for wining and dining with family and friends. Nothing says Christmas party like a proper British buffet, but if you're keen to impress with your spread of festive favourites, you've got to think big and be imaginative. Here are three recipes for the ultimate Christmas buffet. Try these delicious camembert dough balls! Warm 350ml water in a large saucepan, then remove from the heat when it starts to steam. Add the butter before setting aside to cool. In a large bowl or mixer, combine the flour, sugar, yeast and 1 tsp of salt. Then, add the cooled mixture to create a soft dough. Knead the dough for 10 minutes by hand until it is smooth and stretchy. Then, place in an oiled bowl and leave it somewhere warm to rise for 1-2 hours. Grease and line a large baking tray with parchment, then scatter over the cornmeal/polenta. Next, remove the three cheeses from their packaging, slash the tops a couple of times with a sharp knife, and poke in some fresh rosemary and thyme (optional). Place the egg in a shallow dish, and do the same for the poppy and sesame seeds. Then, knead your dough again for several minutes, ensuring complete smoothness. 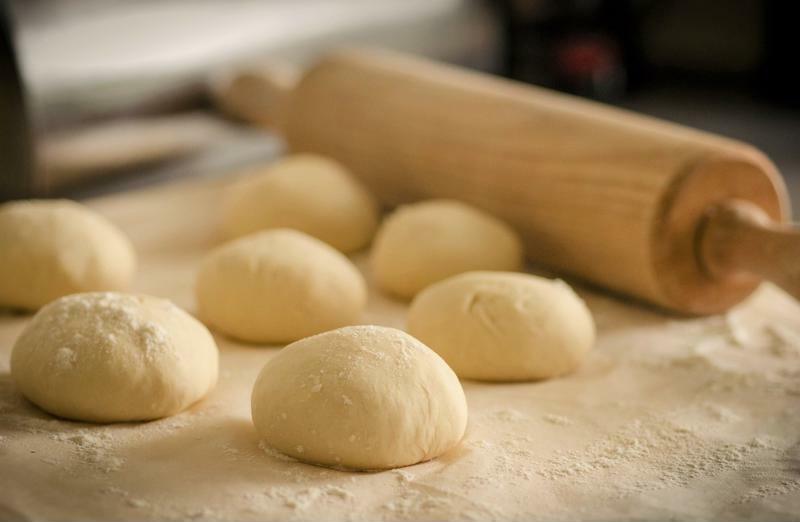 Remove a small piece of dough and roll into a ball. Dip the ball into the egg mixture, before dipping into the seeds. Repeat this step several times using all of your available dough, and place all of the balls on a baking tray, making sure to space them out evenly. Heat oven to 180°C. Leave the balls to rise for a further 30 minutes, until they begin to touch one another. Then, bake the dough balls and the Camembert together for 30 minutes until the balls are cooked through. Leave to cool for 5 minutes before serving. 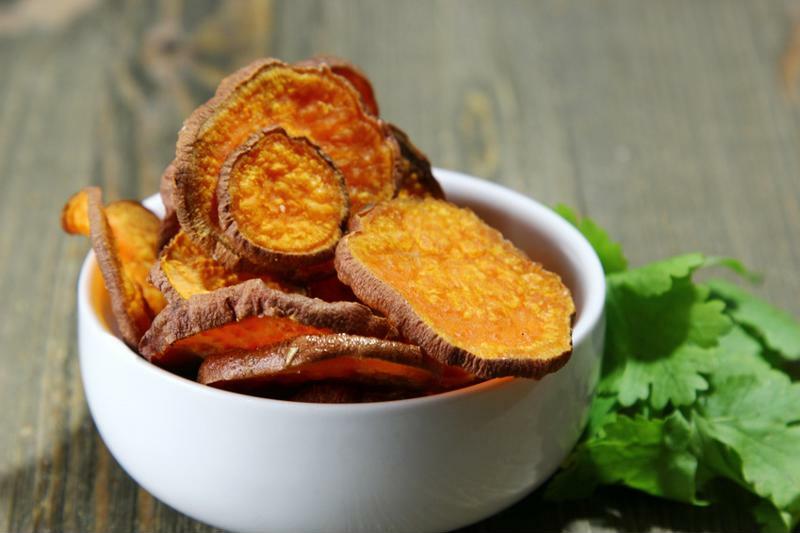 These sweet potato crisps are a great snack. Heat oven to 150°C. Thinly slice the sweet potatoes lengthways, without removing the skin. You're looking for a thickness of around 0.25cm. Toss the potato slices in a bowl with a small amount of olive oil, coating them on all sides. Line a baking tray with parchment, before tipping on the potatoes. Bake the potatoes for around 50 minutes, before removing from the oven and sprinkling with salt and any other seasoning you prefer. In a small bowl, mix the dip ingredients together, and chill in the fridge until it's time to serve. Serve the crisps in a narrow pot to keep them upright, with the dip as an accompaniment. These cheese stars will hit the spot at your holiday party. Unroll the pastry sheet on a flat surface. On one of the pastry sheets, sprinkle over most of the cheddar and parmesan, saving some for topping. Then, fold the sheet in half and crimp the edges, sealing the cheese inside the two pastry folds. 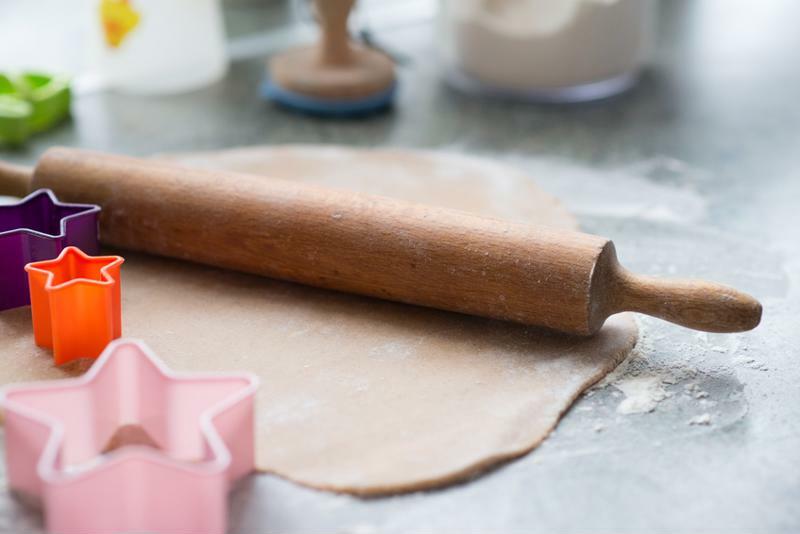 Dust your work surface with flour, before rolling out the pastry until it's double its original size. Heat the oven to 200°C and line two trays with baking parchment. Using a festive cookie cutter (doesn't have to be stars, any Christmas cutter will do), cut the pastry into small shapes and distribute these onto the two trays. Remember to reroll the trimmings to cut out more shapes and waste less pastry. When all the shapes are on the trays, brush the pastry with a little milk before adding a pinch of cheese and the topping of your choice. Bake the pastry shapes in the oven for 10-12 minutes, or until golden and risen. The festive shapes will keep in the fridge for over a week when using the FoodSaver vacuum system, or for 3 days in a standard airtight container. Christmas Day shouldn't be the only day during the festive period that you woo your friends and family with a slap up meal of decadent proportions. Hosting a festive dinner party is a great way to catch up with friends and relatives without opting for finger food. Here are three dinner party classics that are sure to be a big hit this Christmas. 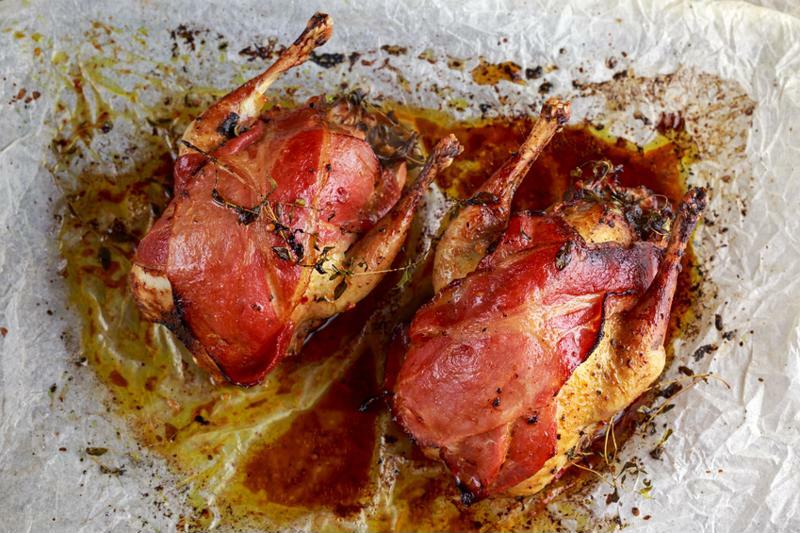 For a savory delight, try your hand at these partridges cooked in cider. Heat oven to 150°C. Then, heat a large frying pan over a medium heat, and add 1tbsp of olive oil. Dust the partridges in flour and fry in the oil until evenly browned all over. Remove from the pan and allow to drain on a square of kitchen paper. Place a large casserole dish on the heat and pour in the remaining oil. Add the bacon lardons and cook until crisp. Add the onions and celery to the dish and cook until soft. Then, stir in the apples and herbs, before adding the partridges to the dish and covering with the chicken stock. Bring the dish to the boil. Remove the casserole dish from the heat and cover with a lid or strong foil. Transfer the dish to the preheated oven, and allow to cook for around 25 minutes. The dish is ready when the partridge thigh comes easily away from the bone, and the sauce has thickened. 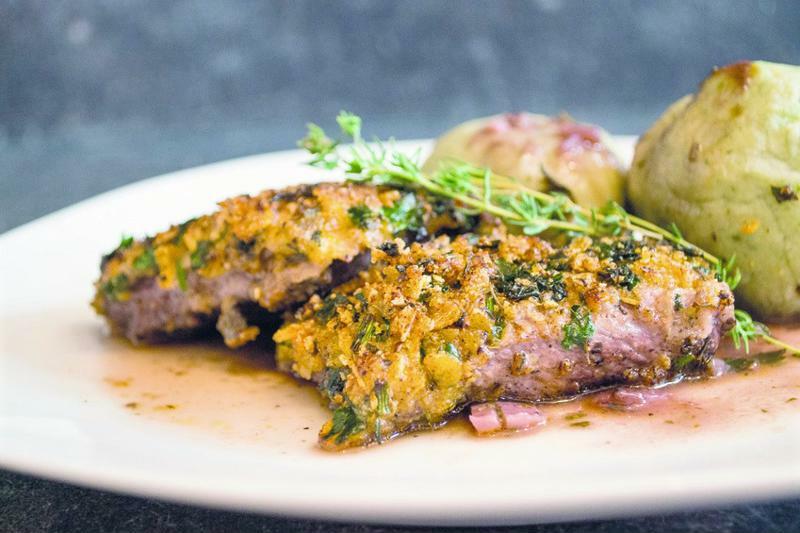 Serve with buttered mashed potato and seasonal vegetables. 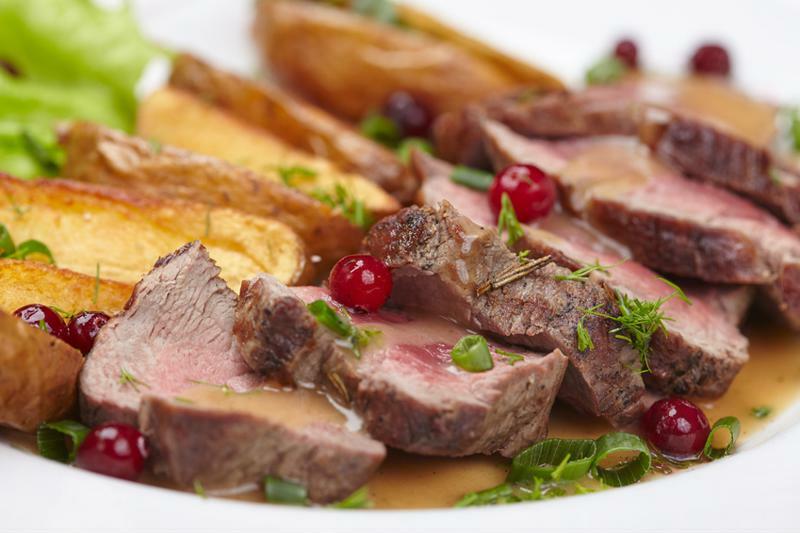 Given your lamb some pizzazz with a unique blend of Christmas spices. Fry the onions, garlic and ginger in a little oil for around 15 minutes, until they begin to soften. Add the chunks of lamb and stir-fry until evenly browned. Add the spices and cook over a medium heat to release the flavours. Then add the almonds. Pour over the stock and season. Cover the pan and allow to simmer for around 1 hour, stirring occasionally to prevent sticking. If the sauce gets too thick, thin with a little water. Serve the lamb stew with seasoned mashed potato and seasonal vegetables. Portions of this dish can easily be saved in FoodSaver containers and bags, before being frozen to enjoy again. If freezing, allow to thaw for at least 6 hours, and reheat until bubbling hot. Nothing says holiday eats like cranberries and pork tenderloin. Season the flour with salt and pepper before dusting the pork steaks. In a large pan, heat the oil over a medium heat and evenly cook the pork on both sides for around 3-4 minutes, until browned. Once cooked through, set aside on a plate. Add the red onion to the same pan and fry for around 5-8 minutes, or until soft. Stir in the stock, cranberry sauce and honey, and simmer for 10 minutes. Return the pork to the pan, along with any resting juices, and gently cook until heated through. Serve with mashed or jacket potatoes, and seasonal greens. Christmas is a time for gorging on show-stopping sweet treats that you wouldn't dream of eating at any other time of year. Once the main buffet is out the way, there's nothing better than enjoying a slice of something delicious over a festive aperitif. Here, we offer three indulgent dessert recipes that are perfect for savouring with friends and family this Christmas. What holiday feast is complete without dessert, such as this pistachio meringue. Heat oven to 140°C. Line your largest baking sheet with parchment paper, then, using a plate as a template, draw a circle onto the paper, flipping it over so the pencil doesn't come in contact with the meringue. In a large bowl, beat the egg whites with an electric whisk until they're doubled in size and able to hold soft peaks. Then, add the sugar 1-2tbsp at a time, whisking continuously. The meringue should become stiff and shiny. Using the parchment circle as a guide, spoon 10 mounds of meringue onto the baking sheet to create a wreath shape. Once all 10 mounds are in place, make a small divot in the top of each (used to hold the topping), before baking for 1hr30. 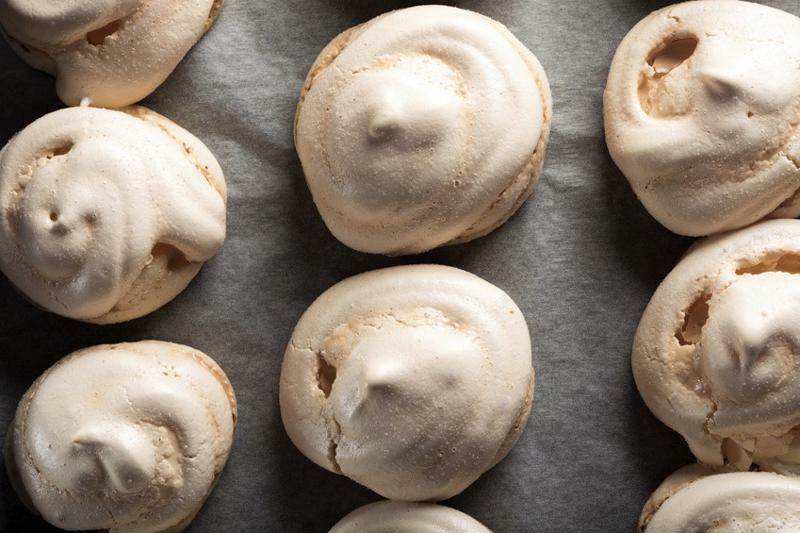 When the meringue is cooked, leave in the oven to cool, preferably overnight if possible. Meanwhile, heat the cranberries and sugar in a saucepan and bring to a steady simmer. Cook the mixture until it boils and the sugar has turned to a syrup, before leaving to cool completely. When you're ready to serve, whip the double cream, liqueur and clementine zest together in a bowl before topping the individual meringue mounds with the mixture. Then, drizzle over some of the cranberry syrup and add a few pistachios to create a wonderful festive dessert centrepiece. 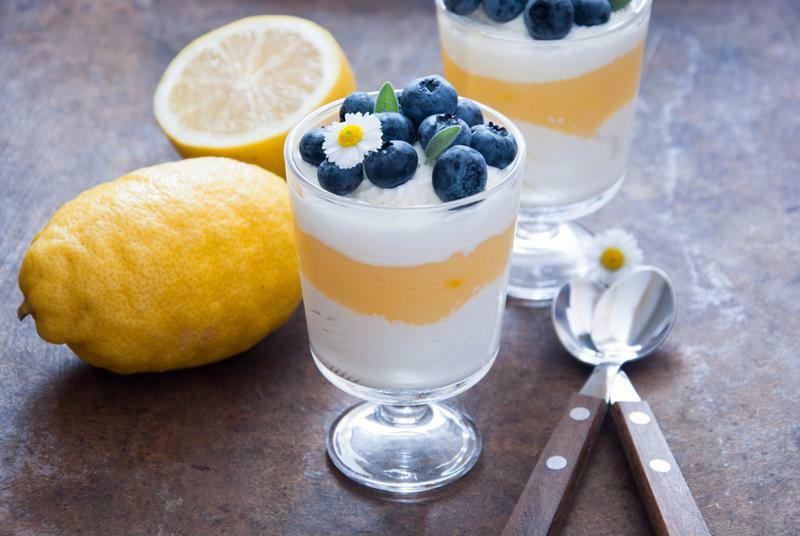 Cool down with these refreshing clementine possets. Add the cream, sugar and zests in a saucepan and bring to a gentle simmer. Measure the remaining juice — you're looking for around 100ml. Turn up the heat and allow to bubble for 3 minutes, before stirring in the juice. Sieve the mixture into a jug, before dividing into 4 glasses. Chill these for at least 4 hours, until they've completely set. For the compote, put the ingredients in a saucepan over a medium heat and bring to a simmer. Allow to bubble away for around 10 minutes until the mixture has thickened and become a syrup. Cool the mixture at room temperature before popping in the fridge until you're ready to serve. To make the palmiers, heat the oven to 200°C and line two baking trays with parchment paper. Unroll the pastry sheet. Mix the butter, cinnamon and sugar until combined, then spread over the flattened pastry sheet. Roll the sheet inward from each of the longer sides, until they meet in the middle. Then, slice the pastry into 1cm pieces, before placing each piece onto the baking trays, flattening them slightly with the palm of your hand. Bake the palmiers for 20 minutes until golden and puffy, and leave to cool. Serve each posset with a spoon of compote and a palmier. 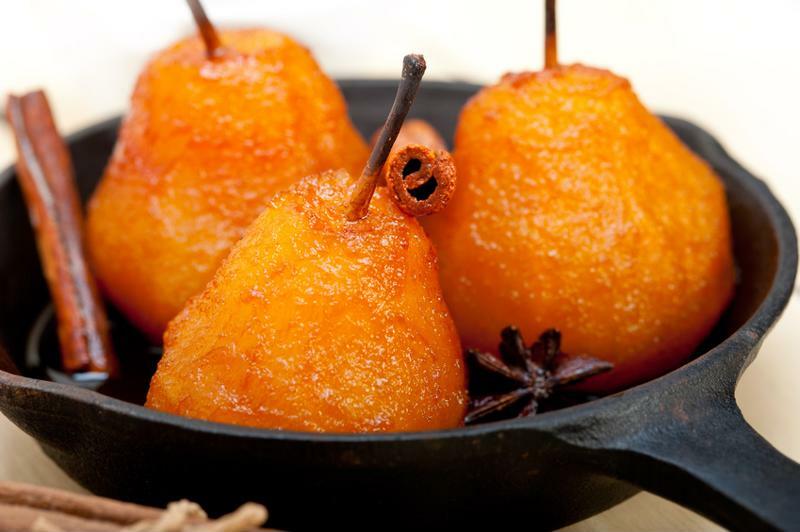 These pears poached in Merlot and cinnamon are the perfect dessert for your holiday party. Add the wine, cinnamon, sugar and vanilla pod into a deep pan and heat gently to dissolve the sugar. Add the pears, ensuring that they are completely covered by the wine, then allow to simmer for 30 minutes until they are tender. Remove the pears from the pan with a slotted spoon and set aside. Then, cook the mixture for a further 30 minutes, until it becomes a thicker syrup. Cool at room temperature, before popping in the fridge to chill. Remove the syrup from the fridge an hour before serving, and pour over the pear in individual portions. Now that you're armed with a few festive ideas, it's time to get the party started this Christmas. Remember, most of these recipes can be easily stored away in the fridge or freezer using the FoodSaver vacuum sealing system, so you can continue enjoying the fruits of your festive labours long into the new year. For more information on our range of innovative vacuum sealers, visit the FoodSaver website.